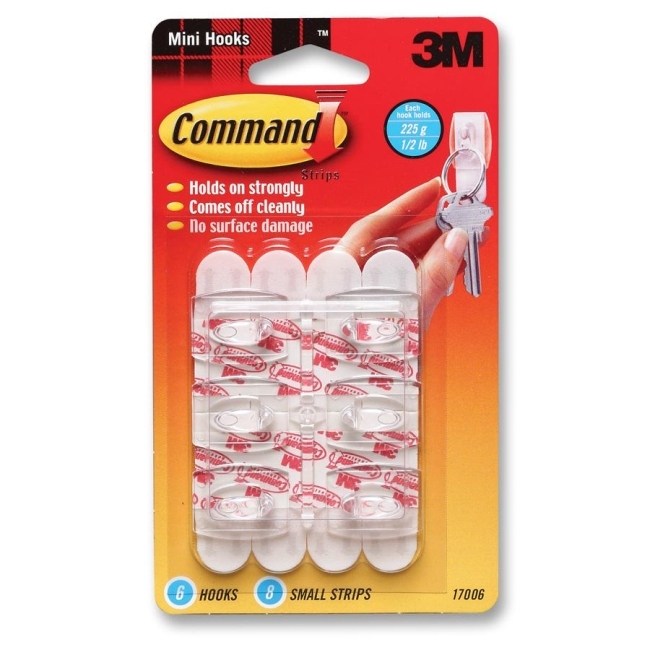 Command Mini Hooks offer a mounting solution that holds firmly and removes cleanly. They leave no surface damage and are reusable. Ideal for organizing and decorating any office environment.